PRIORIT inspection covers leave no wishes unfulfilled. From inexpensive wall panel to hatches to classy premium covers, PRIORIT offers the right solution for each type of wall and every purpose. The large selection ensures that a suitable inspection cover is available for any fire protection measure. As the locks work with DIN single cylinders, all PRIODOOR models (from the small hatch to the big door) can be opened and closed with keys from the building locking system. This provides safety and saves cumbersome searches for the right key during maintenance work. In addition to many standard sizes you can get customized PRIODOOR fire safety covers for the price of standard products. Find out now about all model types. All covers are made of non-combustible and classified materials and can be supplied with individual surfaces: white, grey, coloured, patterned or simply primed for painting. Buildings must have safe escape and rescue routes according to the Model Building Regulations (MBO) so they can be safely evacuated. 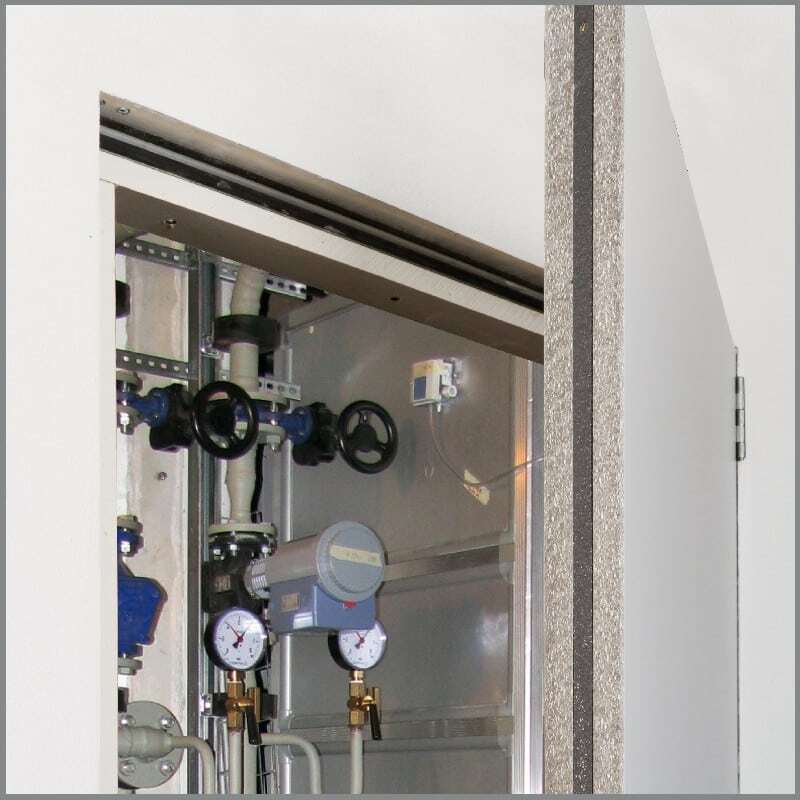 The design of installation ducts and particularly of inspection closures are regulated by the Model Directive on Technical Requirements for Fire Protection with Respect to Conduit Systems (MLAR). Therefore, select and design closures for installation ducts with building components that were specifically designed and approved for that purpose. 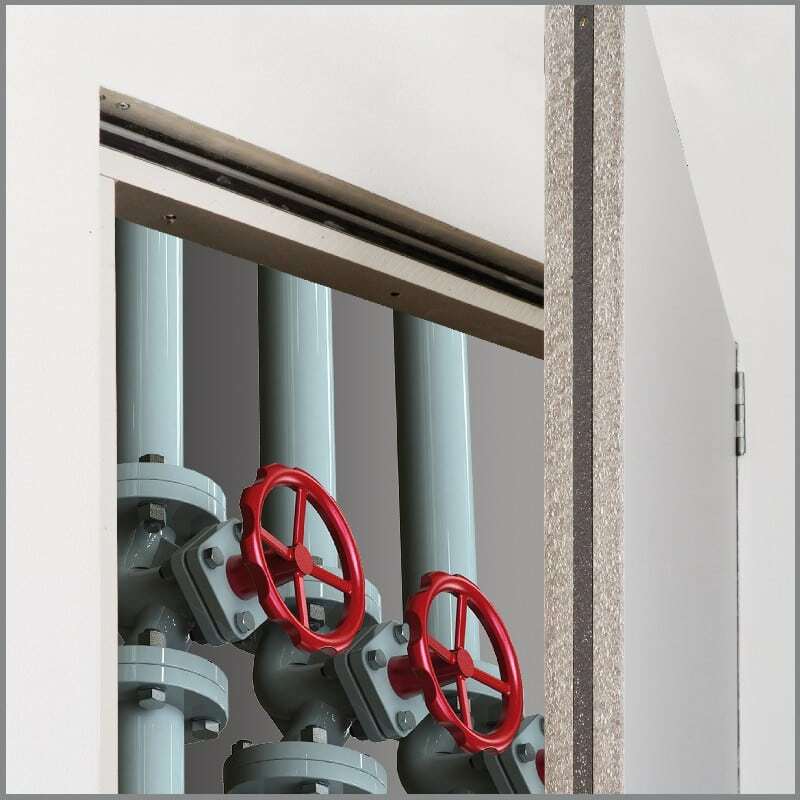 With regard to the common requirements for installation in wall types, non-combustibility, fire resistance and smoke-proofness, these are inspection closures specifically approved by the building authority as inspection closures, such as the inspection closures of PRIORIT. From inexpensive wall panel to hatches to classy premium covers, PRIORIT offers the right solution for each type of wall and every purpose. 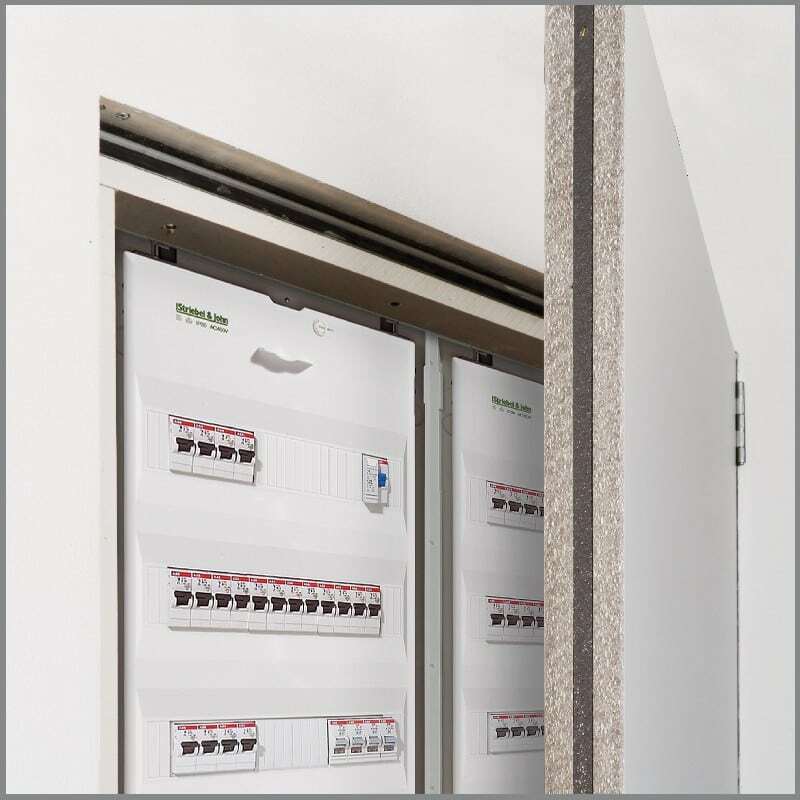 Simply combine your preferred wall type with PRIORIT inspection and fire protection closures for the most economical solution to separate distribution systems in escape routes, create installation ducts and construct fire compartments.